This BSc (Hons) in Education and Psychology degree is taught jointly within the Schools of Education and Psychology. You may also like to look at the single-honours BSc Education and BSc Psychology courses. 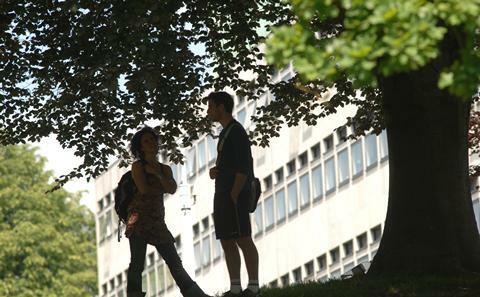 The BSc Education and Psychology degree has British Psychological Society (BPS) accreditation. It provides a valuable first qualification for private and public sector careers in a variety of education and or psychology settings such as social and educational research, educational development within the community, education-related work within charity organisations, and the full range of psychology careers. With some flexibility and choice, including opportunities for work based placements, the joint honours programme covers UK and International contexts. The programme also provides the possibility of further study in Education or Psychology at either Masters or Doctorate level, including a masters level teacher training programme: PGCE Primary, Secondary or FE teaching. This programme is designed for students who possess a broad range of interests in the interdisciplinary area of Education and Psychology. It provides a valuable first qualification for those seeking employment in a variety of settings including private or public sectors, social and educational research, educational development within the community, education-related work within charity organisations, and the full range of psychology careers. In addition, it will provide a useful stepping stone to further study in Education or Psychology at either Masters or Doctorate level, or in PGCE Primary, Secondary or FE teaching. All applications from UK, EU and International students for this course must be made through the Universities and Colleges Admissions Service (UCAS). For more information, see How to Apply. The BSc (Hons.) 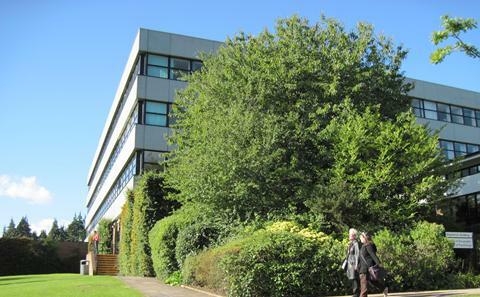 Education and Psychology degree is accredited by the British Psychological Society (BPS). This means that if you successfully complete a specific pathway within the degree it confers eligibility for the Graduate Basis for Chartered Membership. Successful completion of a BPS-accredited undergraduate degree is a requirement for entry to most postgraduate and professional training programmes in different Psychology specialisms. GCE A-level AAB or equivalent, for example BTEC (DDD). If you have been eligible for the Access to Southampton (A2S) scheme we may make an alternative conditional offer, typically BBB. International Baccalaureate 34 points, 17 at higher level. The programme will welcome both UK/EU and international students, and those with different educational, social and cultural backgrounds. Successful completion of the University of Southampton’s International Foundation Year guarantees progression to this degree programme. A typical contextual offer is ABB from three A levels or the equivalent from alternative qualifications. For further enquiries about the course content, please contact David Galbraith in the Southampton Education School, Tel: +44 (0)23 8059 9491 or Tina Birring, Senior Administrative Officer, Tel: +44 (0)23 8059 2619, Email: tb@soton.ac.uk. Some applicants may be invited for interview before an offer is made. Eight modules are taken each year, four in each semester. Each single module is worth 15 CATS points. Apart from the Year 1 free choices, modules are delivered by either the School of Education or the School of Psychology. Note that, if you want to qualify for British Psychological Society (BPS) accreditation, one of the optional modules becomes compulsory. In Year 3, you take 3 taught modules in each semester. They may be selected from a range of designated Education modules, or from the Year 3 BSc Psychology modules currently available. You must have 3 Education and 3 Psychology modules across the year. In addition, you undertake a research project across the whole year. This can be supervised in either Education or Psychology. For Education topics, this is supported through one module with double weighting, while in Psychology it is split into two single modules. Note that, if you want to qualify for BPS accreditation, the Advanced Research Methods module, the Current Issues in Clinical Psychology module and the research project are compulsory. Developing career skills is embedded throughout every stage of the course and is present at every moment of study. Some modules offer specific teaching in reasoning and communications skills. Others offer experience in educational settings. A degree in education and psychology provides you with an excellent pathway to many professional career options. These include social and educational research, educational development within the community, welfare-related work, human resources, advertising and further postgraduate study. The degree is accredited by the British Psychological Society as providing Graduate Basis for Chartership with the Society, which means that careers across the range of psychology professions are also open to you.